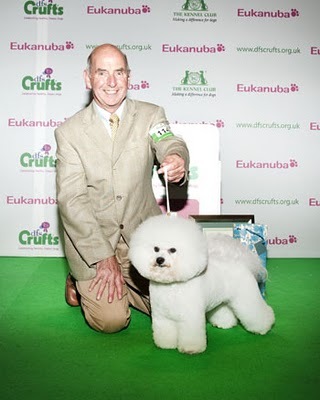 Spoiler alert... Congrats Pamplona Bring Me Sunshine - "Eric", a stuuuupendous BICHON,winner of the non sporting group... Eric, hmm, are you single??? Call me. We can do lunch.